Although mankind was created as khalifah for this world(2), Adam was sent to Jannah after his creation(3), instead of being sent to the world, with a view to indicate that this world is not really the permanent home for mankind. When Adam was sent to the world from Jannah, Allah subhanahu ta’ala (swt) mentioned to him that whoever would follow the revealed hidayah, he/she would be able to go back to Jannah without any fear and trouble. (4) This hidayah is Allah’s kitab(5) as well as His rasul(6) (Prophet). In the series of prophethood, the last prophet is Muhammad (pbuh). Prophet Muhammad (pbuh) was born in Makkah in April, 571 CE, and lived there roughly 53 years until his migration to Madinah in September, 622 CE. He lived in Madinah the remaining 10 years of his life of 63 years until his death in 8 June 632 CE / 12 Rabiul Awwal, 11 AH(7). His Makkan life is divided into two phases: the first phase is his childhood and his early life from his birth up to the time of receiving the first revelation on 10 August 610 CE, and the second phase from the first revelation to his migration to Madinah. During the first phase of his life in Makkah he was well-known as a great personality of high moral standard and a trustworthy social reformer and was titled as “The Faithful” (Al-Ameen). In the second phase he was a peaceful preacher. He continued his 13 years of preaching mission in 3 stages: 3 years (610–613 CE) secretly among his relatives and near ones in Makkah, 7 years (613–619 CE) openly among the various tribes in Makkah, and 3 years (619–620 CE) among tribes outside Makkah, especially in Taif and Madinah(8). After the migration, he continued his risalah mission in Madinah for 10 years 2 months 12 days ( 1 AH–12 Rabiul Awwal, 11 AH) in 3 stages: the first stage covered 5 years 11 months (Rabiul Awwal, 1 AH – Zil-Qaedah, 6 AH) from migration to the Treaty of Hudaybiyah, the second stage was 2 years 11 months (Zil-Hajj, 6 AH – Ramadan, 8 AH) from Hudaybiyah to the Conquest of Makkah, during which his preaching was to monarchs of various countries, and the third stage was 2 years 6 months (shawal, 8 AH –12 Rabiul Awwal,11 AH), from the Conquest of Makkah to his death. This was the period when different tribes embraced Islam in groups(9). The objective of this paper is to highlight some dimensions of the Prophet’s political and economic measures, events and achievements in his Madani life with reference to their timeframe wherever possible. Despite being a prophet with the responsibilities of conveying Allah’s message and establishing His deen, Prophet Muhammad (pbuh) made significant contributions in the field of politics, which played a role model for the entire mankind. Some of his major political measures, achievements and events are outlined below. No formal political states existed at that time in the region of Arabian peninsula, although monarchies existed elsewhere in crude forms. The Prophet (pbuh) was the first political leader to give the idea of a welfare state by practically establishing a welfare state in the region that took care of the welfare of all concerned, with its capital in Madinah al-Munawwarah. The state thus created was a home for the people of different faiths and cultures including Muslims, Jews and other non-Muslims(10) and hence it was a multi-religious and multi-cultural state with freedom to practice all religions. He created in Madinah a new community and state with all its ingredients and necessary elements from an Islamic perspective, resulting in the most glorious and gorgeous political community that has ever been known in the human history. He laid down the foundation of this state right after his migration to Madinah in 1 AH corresponding to 622 CE. The state established in Madinah by the Prophet (pbuh) was not simply a political entity of a state, but it was based on Islamic norms and values in conformity with the Islamic code of life, often termed as an Islamic state. The Qur’an requires that those Muslims who have power over a state establish the Islamic code of life,(11) and the Madani state provides a practical model of such a state, which was established by the Prophet of Islam himself. In other words, the Madinan state was based on moral values of Islam or, in other words, it was an ideology-based state. The constitution recognized and took care of the plurality of citizenship with respect to religion, belief, and culture, reflecting the Islamic norms of peaceful co-existence and tolerance. This constitution established the security of the communities, religious freedoms, the role of Madinah Munawwarah as a sacred place, the security of women, stable tribal relations within Madinah, a tax system for supporting the community in time of conflict, parameters for exogenous political alliances, a system for granting protection of individuals, a judicial system for resolving disputes, and also regulated the paying of blood money. Also, the constitution established a kind of alliance or federation among the eight tribes in Madinah and Muslim emigrants from Makkah, specifying the rights and duties of all citizens and the relationship of the different communities in Madinah. The Constitution of Madinah is treated by the scholars of Muslims and non-Muslims as a historical constitution and a role model for any state in the world. He migrated from Makkah to Madinah secretly and thus escaped the enemies who followed him to catch him, but within six years he made a trip back to Makkah in the face of such enemies, and ended up with an excellent treaty called “The Treaty of Hudaybiyah” with them which opened up many avenues for his risalah mission. With this treaty the Makkan enemies who belittled him earlier by terming him a liar, insane, a magician, and so on, recognized him as a political leader of their own status. Some companions objected to accept the clauses of the treaty that were insisted by the enemies, but the Prophet understood and foresaw the far-reaching inner wisdom of the clauses which others could not see, which brought about brilliant outcomes. This treaty finally led to the conquest of Makkah. This was a testimony of his diplomatic brilliance. The treaty was completed in 628 CE, corresponding to 6 AH. (27) Similarly, he concluded several other treaties with other parties in and around Madinah, leading to peace and harmony in the region and especially safety of the newly established state in Madinah. A significant testimony of the Prophet’s political wisdom was his letters to statesmen and political leaders of the world. He wrote letters to several kings, monarchs and governments inviting them to Islam. These letters were sent to them through the Prophet’s envoys in different times, as given in Table 1 of Appendix A, which lists nine envoys to the political leaders and statesmen of the world. Ibn Hisham mentioned all of these nine letters, while Safiur Rahman Mubarakpury mentioned eight of them. (28) Some authors have mentioned thirteen letters. (29) There were many other letters written by the Prophet (pbuh) to different groups, tribes, and other personalities for different purposes including political, diplomatic, public relations, and da’wah (preaching) initiatives, numbering to a total of 185 letters. (30) As for the time-frame of these official correspondences, the opinions of the scholars differ. However, most of the scholars view that the letters were sent mostly in Muharram of 7 AH, while others opine that it happened during the end of 6 AH or around that time. Battles and wars used to be an inseparable phenomenon of politics and national security, and the safety, security, and survival of a nation depended on its defence capabilities and the excellence in strategic planning of wars and their effective implementation. There was no formal army of the Madinan state during the time of the Prophet. However, the Prophet (pbuh) could mobilize voluntary army personnel who used to arrange their own traditional weapons from their own sources. The Prophet planned and commanded a number of battles very successfully, which shows his unbeatable wisdom in war planning and command. Besides his war excellence, he also demonstrated normative values and human considerations in the field of war, which has been lauded even by non-Muslim scholars and authors. (35) During his 10 years at Madinah there were 28 battles in which he himself participated, out of which nine were major battles, and he led them with great military success. The first was “Gazwah Widdan” in the month of Safar, 2 AH/ August, 623 CE, and the last one was “Gazwah Tabuk” in the month of Rajab, 9 AH/631 CE. In addition there were 58 forays (expeditions) by his order under the command of his companions. The first foray was in Ramadan, 1AH/March, 623 CE. (36) Names of the 28 battles participated in by the Prophet with their timetable, places, forces, and consequences are given in Table 2 of Appendix B. Besides, the Prophet sent 58 forays in which he did not participate himself. But he organized them and appointed the commander, as given in Table 3 of Appendix C.
The economic achievements and contributions of Prophet Muhammad (pbuh) are significant. His economic efficiency, capabilities, and vision were visible in both Makkah and Madinah. In Makkah, he was well-known as a brilliant young trader, an honest and trustworthy businessman in partnership business, and a keeper of promises for his consumers, so much so that he became well-known in Syria, Basra, Iraq and Jordan, as well as in other cities of trade of the Arabian Peninsula. (41) In Madinah, as guided by Allah (swt), he provided a complete framework of a normative economic system. His system covers major areas of an economic system including issues of ownership, production, distribution, social security system, economic development, public finance, baitul mal, and so on. Notably, this system is of a normative economic system rather than a positive one, which focuses on “what ought to be,” rather than “what is or what was.” A very brief account of some of the issues of this economic system is given below. The Prophet’s unique concept of ownership is that Allah (swt) is the absolute owner of everything: nature, income, assets, wealth, properties, etc. 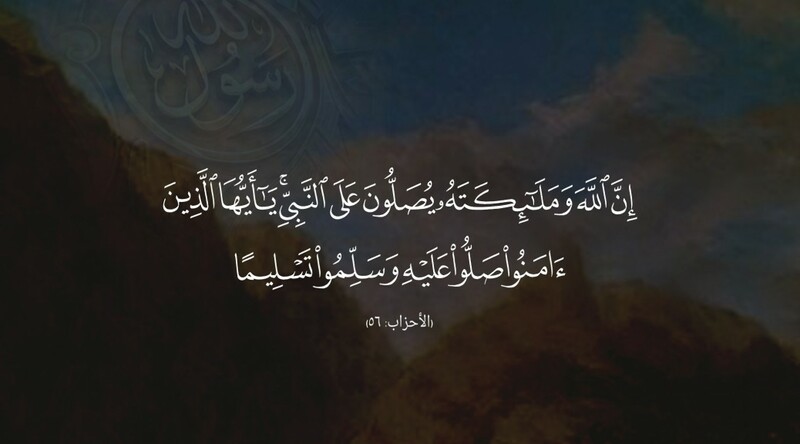 (42) Man has trust ownership of income and wealth, so that man will acquire income and wealth as Allah’s representative and will utilize them according to Allah’s desire, who made him custodian of the wealth. (43) This provides a normative restrictions in both earning and spending income and wealth. Economic activities have been encouraged in the Prophet’s economic system. It provides the concept of the factors of production(44) including labour(45), capital (ras al-mal ), owner of capital (sahib al-mal), mudarib, musharik, etc., pricing of capital(46), and the prices of factors of production(47) to be determined with justice,(48) and humanity. (49) Allah (swt) made things and people in such a manner and status that they can use the services of each other in worldly matters and economic activities. Despite equitable distribution of income and wealth, there may still remain disparities in income distribution due to the fact that the qualities, capabilities, and efforts of the people are not the same. The Prophet’s economic system provides a mechanism to balance out this disparity by imposing a responsibility to the rich to extend their helping hand to the relatively worse off people in the form of Zakah,(59) sadaqah,(60) fitrah,(61) charity, etc. The Prophet said, “Protect yourself from Hellfire even by giving a piece of date as charity.”(62) Allah says, “And in their properties there is a right of the sael (the needy who asks for help), and the mahrum (the needy who does not ask for help)”(63), “And whatsoever you spend of anything (in Allah’s cause), He will replace it.”(64) “Pay Zakah, and lend to Allah a goodly loan.”(65) Besides private and societal efforts, the Islamic state is responsible to provide at least basic human needs to all those members of the community who are otherwise unable to arrange the same for themselves and for their families. (66) This provides the first concept of social security security in the history of the world. Fiscal policy provides the framework for the sources of income and also the heads of expenditure of a state. The Islamic system presented by the Prophet provides such a framework, which was followed and adopted by the Madinan state headed by the Prophet himself. The major sources of income were the taxes which include Zakah, kharaj, jizyah, khumus (war booties), fai, tax on secret treasure, etc. The heads of expenditure are also well defined. Some of these sources are briefly described below. Al-Khumus: Khumus was a source of fiscal policy in the Islamic framework, literally meaning one-fifth. It is the first share out of the five shares of war-booty (ganimah). Khumus applies when ganimah is obtained from the enemies after a fight. (81) fight.6 Ganimah is to be divided into five equal parts: “And know that whatever you get as war-booty, one-fifth of it is assigned to Allah, and to the Messenger, and to the near relatives [of the Messenger], (and also) the orphans, the poor and the wayfarer.”(82) The Prophet said (addressing tribe of ‘Abdul-Qais) “I order you four [things] and forbid you four: I order you to believe in Allah, that is, to testify that none has the right to be worshipped but Allah; to offer prayers perfectly; to pay Zakah; to fast the month of Ramadan; and to pay the Khumus (one-fifth) of the war-booty to Allah; and I forbid you to use Ad-dubba’, An-Naqir, Al-Hantam and Al-Muzaffat (utensils used for preparing alcoholic drinks).”(83) The first Khumus in Islam was distributed in Rajab of 2 AH by Abdullah Ibn Jahsh, who separated one-fifth of war-booty for the Messenger of Allah(84) even before the Qur’anic verse of Surah Al-Anfal ordered this. (85) When the divine order came through Surah Al-Anfal referred to above, ushr used to be distributed to the five heads as advised. Law of inheritance refers to the rules governing distribution of wealth and properties of a deceased person among his/her relations. This varies widely in time and space from community to community and from nation to nation. In some systems, only the sons get the right to inheritance, while the daughters are deprived. In some other societies, there is no definite rule, but it depends on the will of the deceased person. The prophetic system of inheritance defines and prescribes definite shares of all heirs depending on the nearness of relationship with the deceased person, irrespective of age. (89) The rules governing distribution of the deceased’s wealth and properties have been specified in such detail that there is no confusion or reason for any conflict. The distribution also ensures full justice. Thus it helps resolve or avoid completely the unnecessary disputes that sometimes occur after a person’s death. The law and rules governing distribution of inheritance is a unique method of inter-generational distribution of a deceased’s assets and wealth, an important aspect of prophetic economic system about which many other economic systems are silent and indifferent. Later, waqf was used for many public welfare activities in Islamic history including establishment and running of educational institutions, mosques, roads, and so on. Thus it has become an economic instrument of public works and development. The final prophet, Prophet Muhammad (pbuh), provided a roadmap which can take us from this world to Jannah, and also it can make this world a living jannah. It has a holistic approach rather than a piecemeal one and hence the resulting framework is a complete code of life encompassing each and every sphere of human life, from individual to family, family to society, politics to economics, and so on. The rationale of its being complete is obvious since the organs of a whole body should be consistent with each other in peace and harmony, rather than a conflicting one. The whole body should move to a single destination rather than moving towards different directions. Thus the prophetic normative system of life is a complete whole. This system has been fully documented in the Qur’an and Sunnah. the same has been done in the literature on economic dimension of the Prophet. An effort is made in this paper to present some of the major issues with their timeframe. However, the issue of timeframe seems like an uncultivated land. It is difficult to put things in the proper timeframe since the works so far seemed to deal more with the substance rather than the timeframe, which is rational as well. In the real world situation, some scholars provide ideas and theories, while other leaders put them into action and practice, often with trial and error. Prophet Muhammad provides a unique example in this context. Guided by the Almighty who sent him, he presented the norms, values, and the theoretical system in a complete whole, and at the same time he put them in practice and action with great success, without any error. At the personal level, he was a great personality of highest standard with utmost human qualities,(100) and on the other hand he was a great political leader, statesman, diplomat, economist, philosopher, social scientist, social reformer, war planner, and so on. In politics, he presented a system of unity within multiplicity, where people of diverse faiths and cultures could live in peace and harmony with a sense of co-existence and tolerance. In economics, his system guarantees both private as well social interest, economic development, and equitable distribution of income and wealth, whereby people live with a guarantee of basic needs for all. In each field, the last prophet, Muhammad (pbuh), was himself an example without any parallel in theory and practice, whose code of life will remain unparalleled, ensuring human welfare until the end of the world. Source: The Table has been prepared by the author from the information given by Safiur Rahman Mubarakpury, op. cit., pp. 237-246; and Ibn Hisham, op. cit., vol. 4, pp. 253-254. 1 Widdan or Abwa Safar, 2AH Widdan between Makkah and Madinah 200 Caravan of Quraysh No battle took place due to escape of caravan. The Prophet stayed there 15 days and came back after a reconciliation with Bani Dhamerah Tribe. Bawat Rabiul Awwal, 2H Bawat 87 km away from Madinah on Road between Arab Peninsular and Syria 200 Caravan of Quraysh No battle took place due to escape of caravan. The Prophet stayed there 1 month (Approx.) and came back. 3 Al-O’shairah Jomadal uola, 2AH Al-O’shairah, nearby Yanboo 100 km away from Madinah 200 Caravan of Quraysh No battle took place due to delay return of caravan from Syria. The Prophet stayed there 1 month and came back leaving 2 companions to follow up on the return of caravan. 4 Badr (1) Jomadal Akhir, 2AH Badr 200 8 Caravans of Quraysh No battle took place due to escape of caravan. 5 Great Badr (2) Ramadan, 2AH Badr 315 950 Muslims were victorious, 14 martyrs from Muslims, while 70 of of disbelievers killed and 70 captured as prisoners. 7 Bani Sulaim Shawwal, 2AH Bohran between Makkah and Madinah 200 Banu Sulaim No battle took place due to escape of Banu Sulaim. The Prophet stayed there 3 days and came back to Madinah. 10 Bohraan/Qarqaratul kedr Rabiul Awwal 3AH Bohraan (Qarqaratul kedr) between Makkah and Madinah 300 Force of Banu Sulaim No battle took place due to their separation. The Prophet stayed there 2 months and came back to Madinah. 11 Uhud Shawwal, 3AH Uhud in Madinah 750 3,000, most of them Quraish 70 martyrs from Muslims, while 22 of disbelievers killed. 12 Hamra Al Asad Shawwal, 3AH Hamra Al Asad, a village 10 km away from Madinah on Makkah Road 630 2,978, most of them Quraysh No battle took place due to fear of disbelievers under leadership of Abu Sufian. The Prophet waited there 3 days and came back to Madinah. 14 Zater Roqaa’ Jumadal Oola 4AH Zater Roqaa’ east of Madinah towards Najd 400 People from Bani Maharib and Bani Tha’labah No battle took place due to escape of enemy and Muslims came back to Madinah after 15 days. 25 Fath-Makkah Ramadan 8 AH Makkah 10,000 Quraysh Muslims were victorious, captured Makkah, 2 martyrs from Muslims, 13 were killed from Disbelievers. Source: Fadi Shamiah, Al-Qital Fi al-Ahd al-Nabawi. Lebanon: Rawabi Al-Qadir Foundation, 2007, pp.134-142. However, the list of forays has been separated by the author from the list of battles and forays. 1 Hamzah ibn Abdul Muttalib Ramadan 1H. Al-Eiys on Coast 30 Riders of immigrants 300 under commandership of Abu Jahl No battle took place due to escape of caravan. The Prophet stayed there 15 days and came back after a reconciliation with Bani Dhamerah tribe. 2 Obaidah ibn Al-Harith Shawwal 1H. Water of Rabegh Valley between Makkah and Madinah 60 Riders of immigrants More than 200 foot soldiers and riders under commandership of Abu Sufian No battle took place due to escape of caravan. The Prophet stayed there 1 month (approx.) and came back. 3 Sad ibn Abi Waqqas Dhil-Qaedah 1H. Al-Kharar between Makkah and Madinah 20 riders Caravan of Quraysh No battle took place due to delayed return of caravan from Syria. The Prophet stayed there 1 month and came back leaving 2 companions to follow up on return of caravan. 4 Abdullah ibn Jahsh Rajab 2H. Nakhlah north Makkah 12 riders of immigrants 4 men under commandership A’mr ibnul Hadhrami No battle took place due to escape of caravan. 7 Mohammad ibn Maslamah Rabiul Awwal 3H. Madinah 6 men Ka’ab ibn Al -Ashraf Ka’ab ibn Al-Ashraf was assassinated by Muslims and his head was brought to the Prophet in Madinah. 9 Ar-Raje’e Muharram 4H. Asfaan between Makkah and Madinah 6 persons under commandership of Morthed ibn Abe Morthed Force of Adhl and Al-Qaarah of Modhar Tribe Muslims were betrayed and all of them were killed. 10 A’mr ibn Umayyah Al-Domry Muharram 4H. Makkah A’mr ibn Umayyah Abu Sufian Abu Sufian saved, A’mr ibn Umayyah killed 3 disbelievers and captured 1 and came back to Madinah. 12 Abdullah ibn Anis Muharram 4H. Oarnah near Madinah 1 man Force arranged by Sufian ibn Khalid Al Huzaly Could not kill him and Abdullah ibn Anis came back to Madinah. 14 Mohammad ibn Maslamah Muharram 6H. Al-Qorataa in Syria north of Madinah 30 riders Bani Bakr ibn Wael (Christians) Battle took place, Muslims killed 10 of enemy and returned to Madinah with Ghanimah. 15 Ukkashah ibn Mohsen Rabiul AwWal 6H. Gamr Marzooq north of Madinah 40 men Banu Asad ibn Modhar ibn Adnan No battle took place, Muslims came back to Madinah with Ghanimah. 16 Mohammad ibn Maslamah Rabius Thani 6H. Zul-Qissah north–east of Madinah 10 men Banu Tha’alabah and Banu A’wal lm Al Qahtan Tribe Muslims were attacked in the night and martyred except Mohammad ibn Maslamah who was wounded and returned to Madinah. 17 Abe Ubaidah Rabius Thani 6H. Zul-Qissah north–east of Madinah 40 men Banu Maharib of Anan Tribe Banu Tha’alabah and Banu A’wal lm Al Qahtan Tribe Muslims were victorious and returned to Madinah with Ghanimah while enemy fled. 18 Zaed ibn Haretha to Bani Solaim Rabius Thani 6H. Al-Jommom Light force under Commandership of Zaed ibn Haretha Banu Sulaim of Modhar Tribe Disbelievers could not raid Madinah, Muslims were victorious and returned to Madinah with Ghanimah and captured prisoners while enemy fled. 19 Expedition of Zaed ibn Haretha to Al-Eis Jumadal Akhir 6 H. Al-Eiys on the coast 170 riders Caravan of Quraysh under commandership of Safwan ibn Umayyah Zaid came back to Madinah with Ghanimah and captured prisoners. 20 Zaed ibn Haretha to Al-Torf Jumadal Akhir 6 H. Al-Torf north of Madinah 15 riders Banu Thalabah of Al-Qahtan Tribe No battle took place. The enemy fled and left their cattle/animals were brought to Madinah by Muslims. 21 Zaed ibn Haretha to Hismaa Jumadal Akhir 6 H. Hismaa north east of Madina 500 riders Banu Jezaam under commandership of Al-Honaid ibn A’ared The enemy escaped; 2 were killed from disbelievers. Muslims returned to Madinah with huge Ghanimah and captured 100 prisoners of women and children. 22 Zaed ibn Haretha to Wadi Al-Qura Jumadal Akhir 6 H. Wadi Al-Qura north of Madinah Light force under Commandership of Zaed ibn Haretha Banu Qazaarah (Christians) Zaid killed a number of enemies and returned to Madinah safely. 24 Zaed ibn Haretha to Wadi Al-Qura Ramadan 6H. Wadi Al-Qura north of Madinah Light force under Commandership of Zaed ibn Haretha Aggressor on Muslims Muslims attacked and won, then returned to Madinah with huge Ghanimah. 26 Abdullah ibn Thabit ibn A’teek Ramadan 6H. Khaybar 5 Men under commandership of Abdulla ibn A’teek Abu Rafie’ ibn Abul Haqeeq Abdullah ibn Thabit killed Abi Rafie’ ibn Abul Haqeeq in his sleep at night and returned to Madinah. 27 Abdullah ibn Rawaha Shawwal 6H. Khaybar 30 men 30 men of Jews All of the Jews including Aseer ibn Razam were killed. 28 Korz ibn Jaber Shawwal 6H. Outskirts of Madinah 20 men Force from Ukol and Urainah of Adnaan Tribe Korz ibn Jaber returned all people to Madinah to be punished for their killing, treachery and apostasy. 29 Umar ibn Al-Khattab Sha’ban 7H. Torbah south of Madinah 30 Militants men Hawazin Tribe of Adnaan No battle took place; tribe fled. 31 Galib ibn Abdullah A-Laythi Ramadan 7H. Al-Mefaa’h of Najd 130 men Banu Morrah of Al-Qahtaan Tribe Disbelievers fled. 32 Basheer ibn Sa’ad Shawwal 7H. Yamon and Jibar north east of Madinah 300 men Banu Qatfaan of Adnaan No battle; tribe fled. Muslims returned to Madinah with huge Ghanimah. 35 Galeb ibn Abdullah to Banii Al-Molaweh Safar 8H. Al-Kudaed north of makkah 15 men Banu Al –Moluweh of Adnaan Tribe Muslims were victorious and returned with Ghanimah. 36 Basheer ibn Sa’ad to Bani Morrah Safar 8H. Al-Mefaa’h of Najd 30 men Banu Morrah of Al-Qahtaan Tribe 29 Muslims killed and Basheer was wounded. 37 Galeb ibn Abdullah to Fadak Safar 8H. Fadak north east of madinah 200 men Banu Morrah of Al-Qahtaan Tribe Some killed by Muslims and Muslims were victorious and came back with Ghanimah. 38 Shujaa’ ibn Wahab Rabiul Awwal 8H. As-Saiye south-east of Madinah 14 men Banu A’amer of Adnaan Tribe Muslims were victorious and returned with Ghanimah. 39 Ka’ab ibn Umair Al-Gefary Rabiul Awwal 8H. Dhat-Al- Atlaah in north of Madinah 15 men Banu Quda’ah of Al-Qahtaan Tribe of Syria with alliances of Roman All Muslims were martyred except their commander Ka’ab ibn Umair who was wounded and returned to Madinah. 40 Motah Jumadal Ula 8H. Motah north of Madinah 3,000 under commandership of Zaid ibn Harethah , then Ja’afr ibn Abi Taleb, then Abdullah ibn Rawahah and finally Khaled ibn Waleed 200,000 half from Gassasinad and Christians of Syria under commandership of Sharahbil ibn A’mr and half from Romanians under commandership of Tyodor brother of Heraqle. Huge casualties of Polytheists and their allies; 12 martyrs, among whom 3 Muslim commanders. Finally the Muslim force withdrew . 41 Zat As Salasel Jumadal Akhir 8H. Zatus Salaasil north of Madinah 500 men Banu Quda’ah of Al-Qahtaan Tribe with alliances of Roman Simple clashes then polytheists were defeated. 43 Abu Qatadah to Khaderah Sa’ban 8H. Khadrah north of Madinah 15 men Banu Gatfan of Adnaan Casualties of Polytheists, Muslims were victorious and returned with Ghanimah. 50 O’ainah ibn Hesn Moharram 9H. Madhareb of Bani Tameem Tribe in Soqyaa between Makkah and Madinah 50 men Banu Tameem of Adnaan Polytheists fled,;Muslims were victorious and returned with Ghanimah. 52 A-Dohhak ibn Sufian Rabiul Awwal 9H. Al-Qortaa north of Madinah Light force under Commandership of Al-Dhohhak ibn sufian Al-kilabi Banu Kilaab of Christians Polytheists defeated. 54 Ali ibn Abu Taleb to Al-Fols Rabius Thani 9H. Al-Falas north of Madinah 150 men Banu Toai from Al-Qahtaan Idol of Fols was burnt by Muslims and destroyed. Muslims were victorious and returned with Ghanimah. 56 Khalid ibn Al-Waleed to Najraan Rabiul Awwal 10H. Najran south of Makkah to Yemen Light force under Commandership of Khaled ibn Al-Waleed Banu Abdul Madanof Al-Qahtaan No battle took place; Banu Harith tribe surrenders and converts to Islam, as well as conciliation was made. 57 Ali ibn Abu Taleb to Yemen Ramadan 10 H. Yemen 300 riders Banu Modh,haj of Al-Qahtaan 20 polytheists were killed by Muslims . 58 Usamah ibn Zaid Safar 11 H. Obna in Bulqa of Syria 3,000 riders and foot soldiers Residence of Abnaa and Alliances of Roman The Muslims were victorious.